Are you thinking about doing some solo travel in Thailand? Great! I promise that you will love traveling alone in Thailand. I’ve been there multiple times, frequently on solo trips, and Thailand remains one of my favorite destinations in the world for traveling by myself. Solo travel in Thailand is awesome because it is one of the best countries in the world for traveling alone. Well, a couple of reasons. First, there are a LOT of tourists in Thailand – and quite a lot of them are traveling in Thailand alone. With so many other solo travelers in Thailand, it’s really easy to meet people. Second, Thailand is a gorgeous country and there are so many activities to keep you busy you may forget you are solo. My private room near this beach in Koh Lanta cost $13/night! 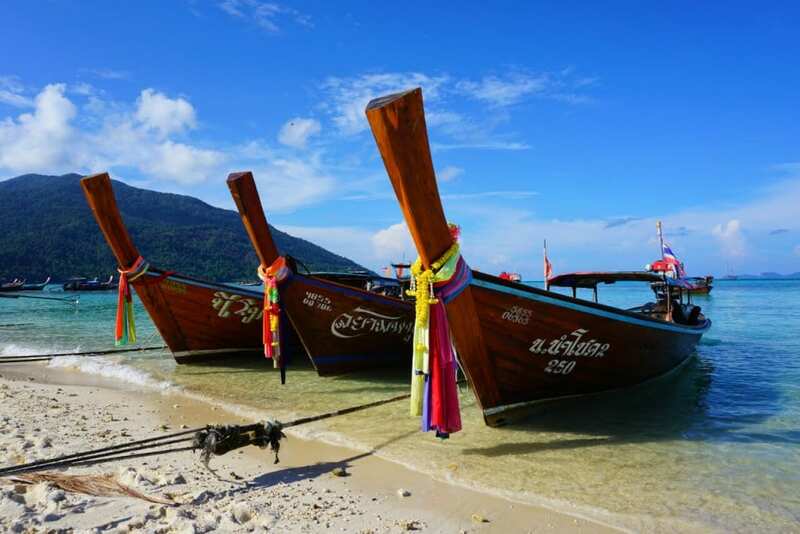 Of the world’s most popular countries for tourism, Thailand remains one of the most affordable. When everything is so easy on the wallet, you can afford to travel longer — or to splurge on a little bit of “me” time. Thailand’s prices are especially great for solo travelers because they mean that, even without sharing, private accommodation can be very budget friendly. 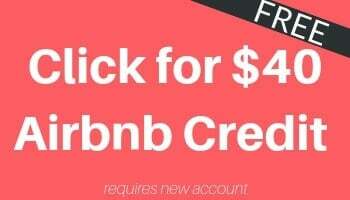 It’s not uncommon to find decent private accommodation for $10 USD per night. That’s one reason Thailand is a great backpacker destination, even when you compare Thailand vs Bali and other affordable SouthEast Asian destinations. If you are going to solo travel in Thailand, you should definitely consider staying in a hostel. Thailand has literally thousands of hostels, and most of them are clean, cheap, central, and safe. Staying in a hostel is one of the easiest ways to make friends while traveling alone in Thailand. Remember, there are a lot of other solo travelers in Thailand. And a lot of them stay in hostels! I made so many friends in the hostels of Thailand that a lot of the time I totally forgot I was technically a solo traveler. 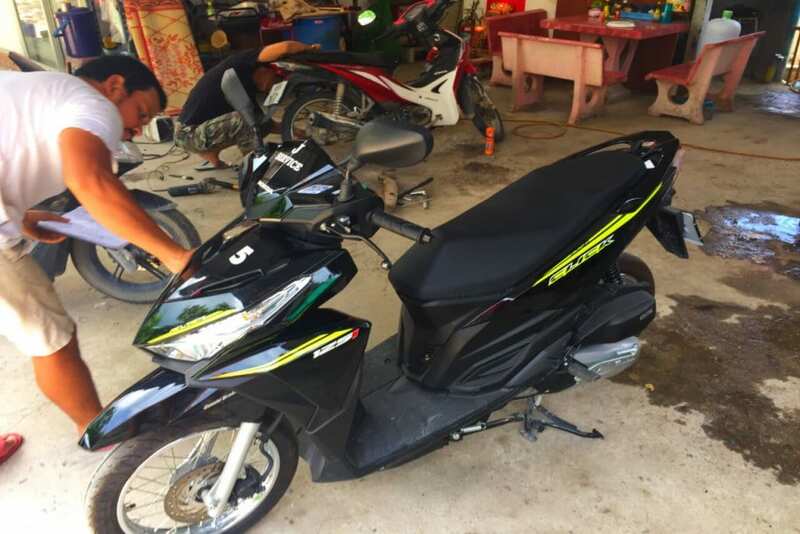 Scooters are great for solo travel in Thailand – but be careful! If you know how to drive them, renting a scooter or motorbike can be one of the best ways to explore Thailand. They are very affordable to rent (usually about $5-8 USD/day) and they can give you the freedom to explore out of the way places by yourself. Even on the busiest Thai islands, I found that having a scooter meant I could escape to some secret beach tucked away from the crowds. But you do need to be sure that you actually know how to ride a scooter. Way too many foreigners in Thailand hop on a bike without knowing what they are doing (or, worse, while being drunk) and end up seriously injuring themselves or someone else. So be careful before hopping on that ride! Speaking of safety, you might be wondering: is it safe to travel solo in Thailand? Look, there are dangers everywhere in the world, and Thailand is no exception. Sure, you’re likely to run into a person or two who are trying to scam you out of your money. But generally speaking Thailand is very safe for solo travel, and most travelers should feel comfortable traveling alone in Thailand. The most dangerous part of traveling Thailand alone (or traveling with others, for that matter) is probably going to be the roads. It’s a big reason why I always buy travel insurance in Thailand! Thailand is renowned for its beaches for a reason. 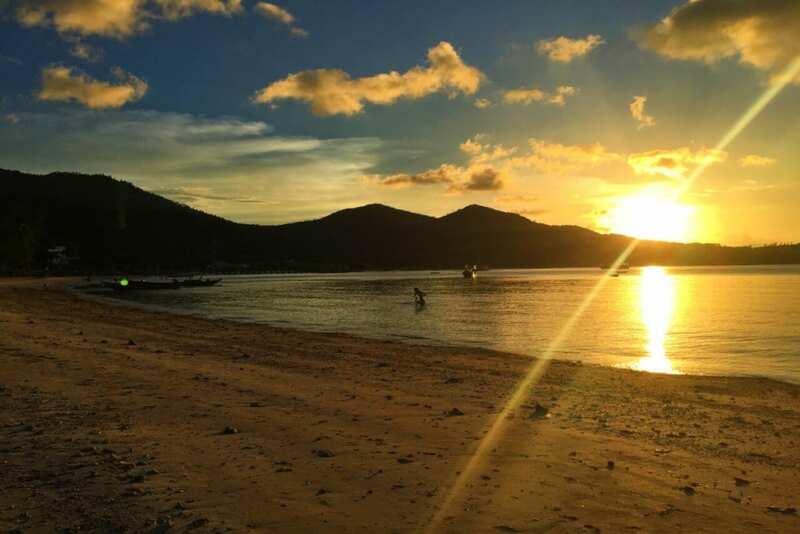 You’ll find beautiful sand, crystal clear water, and some of the best diving and snorkeling spots around. Heck, there is even a famous movie set there entitled “The Beach.” And, because of that reputation, some of Thailand’s beaches can get downright crowded. 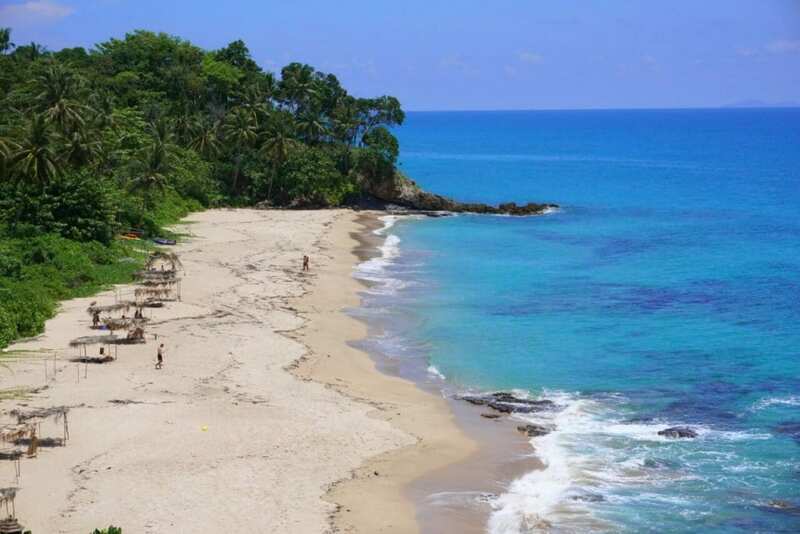 Almost everywhere in Thailand, it’s possible to find a less touristed and quiet beach, even on the popular islands. All you have to do is ask some locals where the tranquil secret beaches are and work out your transport there (again, this is where a scooter comes in handy). Speaking of transport, scooters aren’t the only ride in town in Thailand. Tuk-tuks are everywhere, relatively affordable, and worth taking if only for the experience. Or you can do like the locals and hop on a “Songthaew” — which is basically a truck that’s used for very cheap public transport. And when it comes to getting between destinations, Thailand has loads of transportation options too. Trains, buses, and ferries are all plentiful and relatively affordable. And if you value time over money, then budget carriers like AirAsia offer cheap flights within the country. There are a lot of really cool experiences to have as a solo traveler in Thailand, but Songkran is by far my favorite. What is Songkran, you ask? It’s the Thai New Year’s festival and it’s celebrated on April 13th of every year. There are a lot of traditions associated with the festival, but the big one is that essentially the entire country turns into a giant water fight! Songkran is seriously fun. 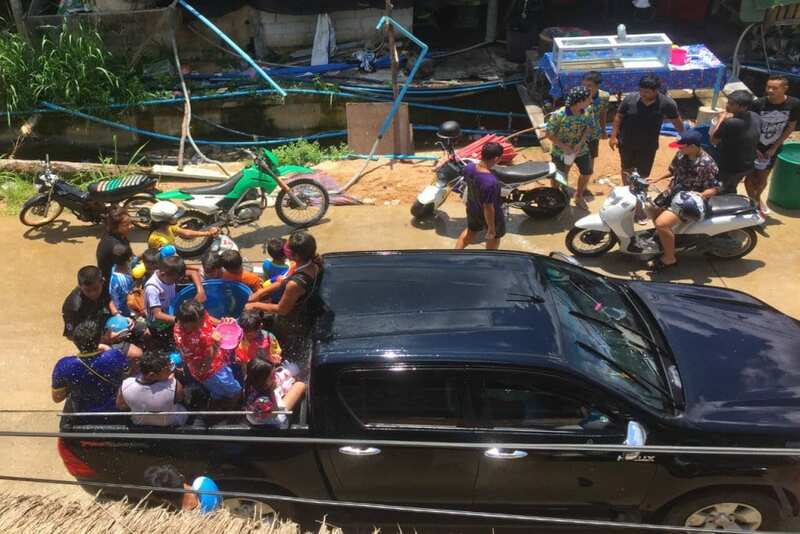 I arrived on Koh Tao last year the morning of Songkran, and no sooner had I exited the ferry than I was doused — bags and all — in buckets of water. The only thing I could do? Grab a SuperSoaker and join in the action! Oh, yeah, there is this other festival in Thailand that you might have heard of. It’s called the Full Moon Party and it too is an experience. A lot of people doing solo travel in Thailand will plan a trip around going to the Full Moon Party. But the party in a lot of ways reflects some of the worst things about tourism in Thailand. And, to be honest, it’s far from the greatest party I’ve been to in my life. 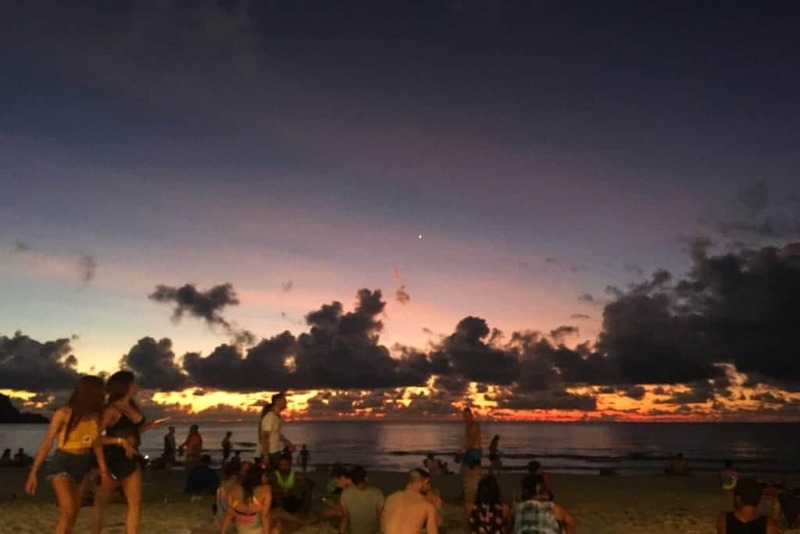 If you want to party on your solo trip through Thailand there will be many opportunities, so don’t feel bad if you can’t make the Full Moon Party. With that said, the Full Moon Party can be fun and it is definitely a unique experience. When I went in April, it wasn’t nearly as overcrowded as I expected, there was lots of interesting entertainment, and I was surprised by just how gorgeous the beach was. So if you’re in the area anyway and inclined, go ahead and have some fun. Just don’t be one of those drunk fools who makes an embarrassment out of visitors to Thailand. I know, I know, “watch the sunset” seems like a pretty lame solo travel tip right? Well, tell me what you think after you’ve seen the sunset a half dozen times or so in Thailand. I’ve been around the world, and in my opinion, Thailand has some of the most consistently amazing sunsets in the world. 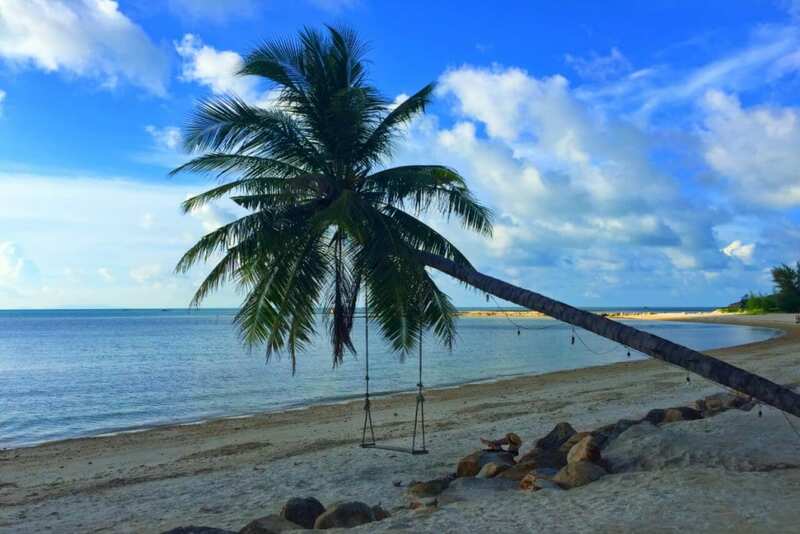 And because you’re likely to spend a lot of time on islands while doing solo travel in Thailand, it’s always possible to find a westward facing view! While the Thai islands are great for their sunsets, don’t forget to plan to spend some time in Thailand’s gorgeous and mountainous north. Chiang Mai is one of the most popular spots for solo travel in the world. You’ll spend your mornings exploring some of the most beautiful temples in the world, your afternoons hanging out with elephants (just don’t ride them), and your nights eating incredible street food. Or head on up to Pai, where you can soak in life at one of the top backpacker towns in the world. Bangkok is the hub for pretty much any travel in Thailand (and Southeast Asia more generally). 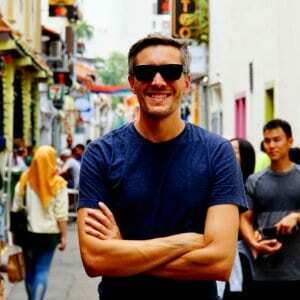 So, whether you like it or not, you’re likely to find yourself going through the city at a few points during your solo trip through Thailand. Bangkok has something of a mixed reputation amongst solo travelers in Thailand. Some love it and some absolutely hate it. But do you know what I think the difference is between those two groups of people? The difference is whether they’ve explored the city beyond Khaosan Road, the famous tourist strip. I’ve found that a lot of solo travelers tend to spend a night or two on Khaosan, quickly sour on the crowded streets and over-the-top tourism, and never look back. But there is a lot more to explore in Bangkok, and if you talk to people who take the time to travel beyond Khaosan, you’ll find that they almost universally fall in love with the city! One last thing before you go: check out this neat trick that will help you get a free Lonely Planet Thailand pdf download! Solo travel in Thailand can be incredible. So enjoy your trip, and let me know in the comments if you have any questions or tips of your own for solo travel to Thailand! Sounds like a lot of fun! And I think that means you’ll be there for Songkran!